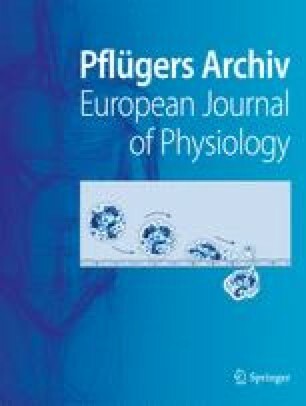 Effects of extracellular adenosine tri-phosphate (ATP) on ionic currents were investigated using the perforated-patch whole-cell recording technique on isolated terminals of the Hypothalamic Neurohypophysial System (HNS). ATP induced a current response in 70% of these isolated terminals. This inwardly-rectifying, inactivating current had an apparent reversal near 0 mV and was dose-dependent on ATP with an EC50=9.6±1.0 μM. In addition, current amplitudes measured at maximal ATP concentrations and optimum holding potentials had a current density of 70.8 pA pF−1 and were greatly inhibited by suramin and PPADS. Different purinergic receptor agonists were tested, with the following efficacy: ATP ≥ 2-methylthioATP > ATP-γ-S > Bz-Bz-ATP > α,β-methylene-ATP > β,γ-methylene-ATP. However, UTP and ADP were ineffective. These data suggest the involvement of a P2X purinergic receptor in the ATP-induced responses. Immunocytochemical labeling in vasopressinergic terminals indicates the existence of P2X2,3,4, and 7, but not P2X6 receptors. Additionally, P2X2 and 3 were not found in terminals which labeled for oxytocin. In summary, the EC50, decay, inactivation, and pharmacology indicate that a functional mixture of P2X2 and 3 homomeric receptors mediate the majority of the ATP responses in vasopressinergic HNS terminals. We speculate that the characteristics of these types of receptors reflect the function of co-released ATP in the terminal compartment of these and other CNS neurons. This work was supported by NIH grant NS29470. Thanks to Nicolas Hussy for helpful discussions and Catherine Wanko for technical assistance.